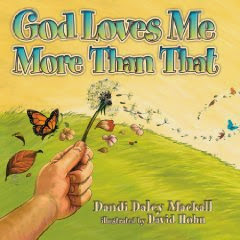 Apples of Gold Ministries is offering a wonderful book giveaway. Three books are being given away to three special readers. All you have to do is go to their blog and comment. Easy peasy! There are also two more ways you can have a better chance of winning. Post about this giveaway on your blog (like I'm doing now), and place the graphic in your side bar (see it on the left over there?). 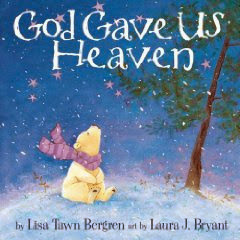 The books up for grabs are: God Loves Me More Than That, When God Created My Toes both written by Dandi Daley Mackall, and God Gave Us Heaven by Lisa Tawn Bergren. Deadline for entries is August 31st! Hurry and enter now!! !